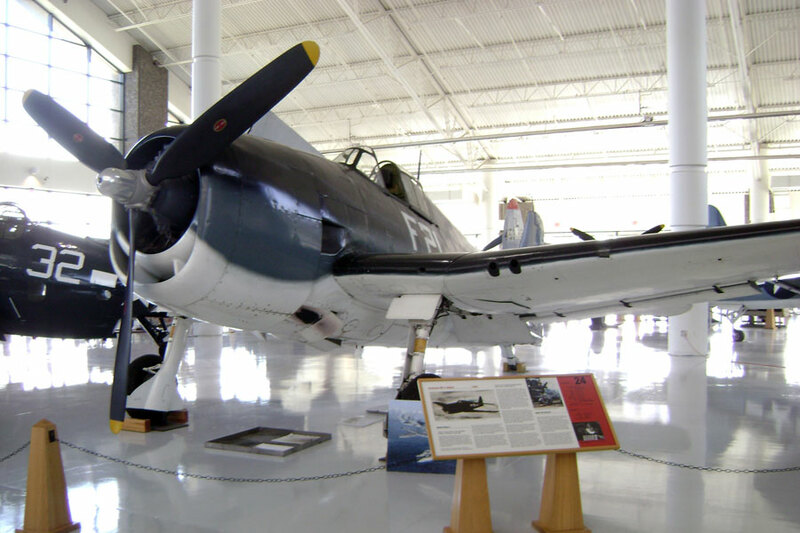 The carrier-based fighter Grumman F6F Hellcat was designed from the beginning to take back the skies over the Pacific from the Japanese Zero. The Hellcat moves into a new phase of life, destined for restoration to the highest standards of her stock condition. 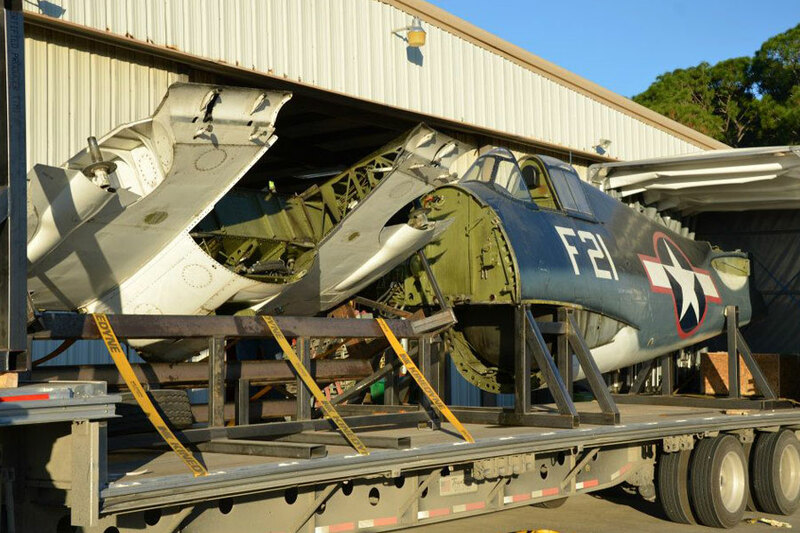 The history of the Collings Foundation’s Hellcat is intertwined with the birth of USN Night Fighter development. The USN faced a real challenge in early 1942. Japanese air attacks were simply something they had no defense against. Evan “Pete” Aurand was an ambitious naval officer who had been assigned to Scouting 2, flying SBD dive-bombers and he simply had to get into fighters. Accepting the first assignment offered in May 1942, Aurand headed for NAS Quonset Point, Rhode Island. He became immersed in the effort to build a night fighting aircraft to protect the fleet. It would be a type of plane the U.S. Navy had never possessed before. Aurand worked with scientists at Massachusetts Institute of Technology (MIT) to improve the Hellcat’s effectiveness as a night fighter. VF(N)-76 began as one of three pioneer squadrons to use the new radar and navigation tools. Pete Aurand was instrumental in this secret program, and was awarded the Distinguished Service Medal for his contributions to developing these important technologies. Select brand new F6F-3 Hellcats coming off the line at Grumman were modified in secret. Very little is known about the actual conversion process of the planes. 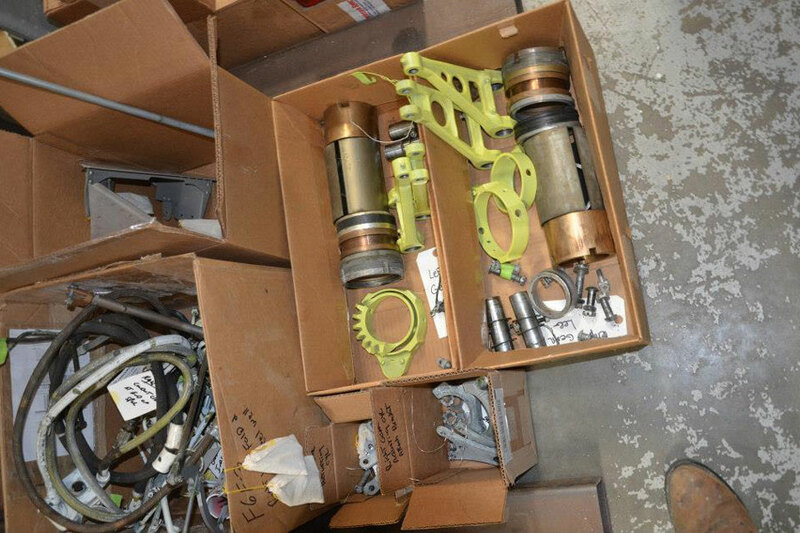 We do know a new instrument panel and a radar pod were installed. The modifications made F6F-3N a different beast. 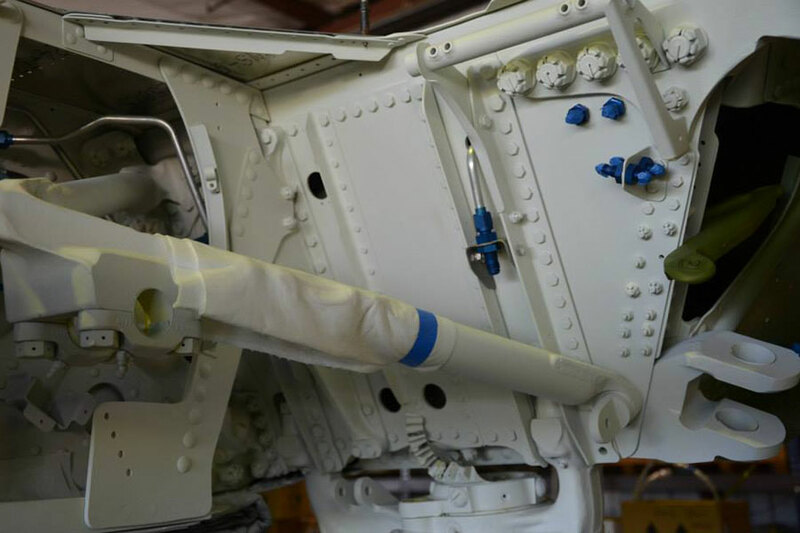 It was designed to hone in on a target with its AIA or AN/APS-6 radar. The pilot was trained to fly the plane through the scope, before picking up the target aircraft visually at very close range. 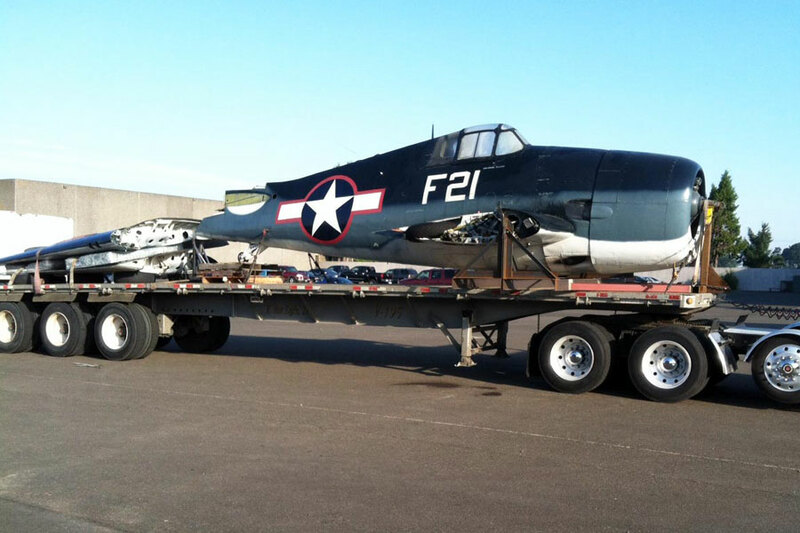 On January 15, 1944 our F6F-3N Hellcat Bu (bureau number) 41476 was accepted by the USN and delivered 5 days later. The initial acceptance was to VF(N)-76 at Quonset Point. In talks with pilots from the squadron it was revealed that each aircraft had unique radar. No two worked exactly alike. Reaching squadron strength, the aircraft were flown to San Diego, CA for embarkation on a ship to Hawaii. From there the aircraft joined Task Force 58, rushing headlong into the Philippine campaign. From January to September of 1944 Hellcat Bu 41476 was assigned to one of four detachments in the Pacific Fleet. The Detachments were assigned to the aircraft carriers Bunker Hill, Yorktown, Hornet, Essex, and Lexington. Dispersed among 5 ships, each detachment had little time for detailed record keeping cohesion. The squadrons were successful immediately. They began to take a toll on the night raiders that were previously unopposed. In fact VF(N)-76 was the highest scoring night fighter squadron with one detachment scoring 26 victories. The task force pressed the attack against the Imperial Japanese Navy. Well-known engagements included the Battle of Philippine Sea, the “Marianas Turkey Shoot” and attacks on Iwo Jima. Several Hellcat pilots became “aces” during this period. 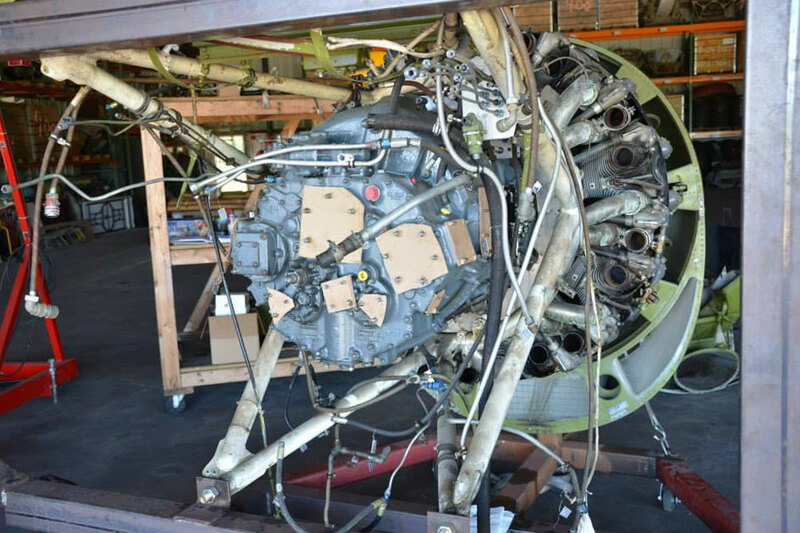 Bu 41476 remained stateside for this round of deployment. All F6F-3N’s were replaced in fleet use by the F6F-5N. November through January 1945 Bu 41476 joined the NACTU Land or Night Attack and Combat Training Unit Atlantic Fleet. From there, she was assigned to VF-52, the precursor to VF(N)-52, then on to the day fighter squadron VF-3. In July 1945, the nomadic Bu 41476 was assigned as a pool aircraft with CASU 23 near NAS Norfolk. Eventually, like thousands of other postwar surplus aircraft, she was stricken from USN record. At NAS Norfolk she became a training airframe, serving a new generation of maintenance trainees until she was put in storage. 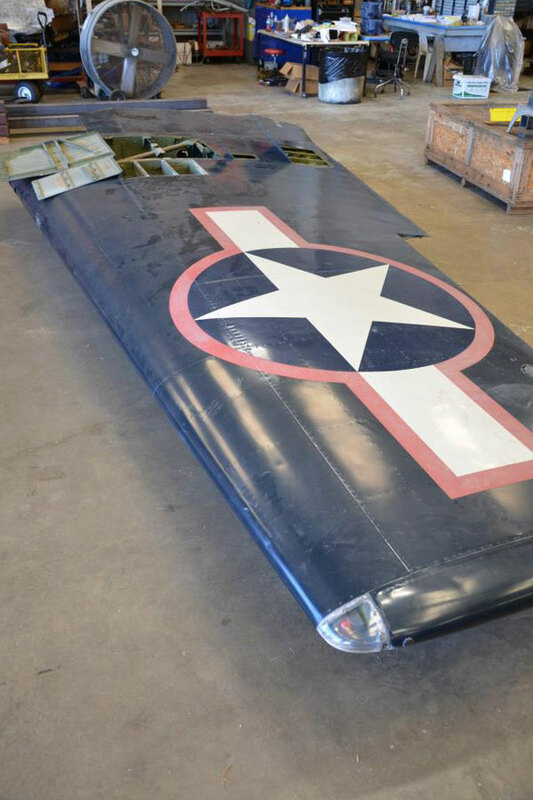 Navy Captain Walt Ohlrich found Bu 41476, sourced a set of new outer wings and restored the old fighter to flight worthy condition – unheard of for a U.S. government owned museum aircraft. For the next several years, the Hellcat showcased Navy and Marine aviation history at airshows on the east coast. Alas, all good things must come to an end. A government bureaucrat found out the historic aircraft was flying and forced her to be grounded. After that, the Hellcat was displayed at the USMC Museum in Quantico, Virginia. Hellcat Bu 41467 moved again in 2002, this time on loan to the Evergreen Museum. It was displayed as a day fighter for the next ten years. Now, the Hellcat moves into a new phase of life, destined for restoration to the highest standards of her stock condition. The story of WWII Naval Aviation and the role of the night fighters will be told through this aircraft. 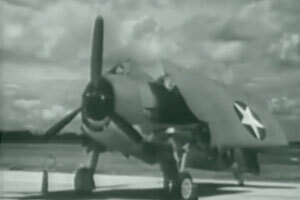 Joining the F4U-5N Korean War Night fighting Corsair currently flown by the Foundation, the Hellcat is the Alpha in the USN night fighting legacy. This aircraft represents a vital and little researched link to the past. While its detailed combat record may never be fully known, it is one of the most important aircraft the Foundation may ever find. 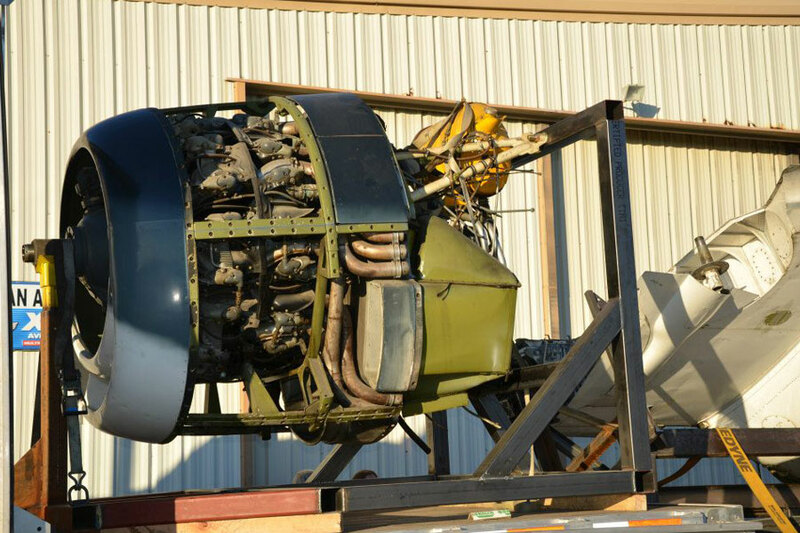 More information is being sought on the history of Bu 41476, and a complete flying restoration to night fighter F6F-3N standard is beginning.